Lion King visiting Schenectady for almost 4-week run to the Proctors Theatre from February 22 and performing through March 20, 2011. The long-awaited Proctors stop of Disney’s “The Lion King” tour offers all the spectacle one would expect, and then some. The opening sequence, in particular, is one of the most dazzling theatrical experiences imaginable. The first half-hour, in fact, is one long suspended moment of awe as music, dance and stage magic come together to tell the story of the mighty King Mufasa. Unfortunately, the rest of the show is built in reverse, making most of act two -despite its Shakespearian overtones of murder, treason and revenge -seem anti-climactic. The acting -all done in broad Disney gestures – is generally strong, and so is the singing. The production values never flag. But, unlike the Bard, the journey is a little too simple to carry its own weight. Given all that, it’s hard to imagine that anyone comes to “The Lion King” for the story (the fall and rise of a young lion king, Simba) alone. They come for, well, the spectacle. Julie Taymor’s famous direction of the piece makes sure to provide a feast for the eye and the ear, with African aspects abundant in the music and Richard Hudson’s scenic design. Taymor’s costuming in this show makes that of “Cats” look like line drawings. And her puppets and masks, created with Michael Curry, are simply wonderful. Often the two elements are combined, with actors wearing their outfits and operating them at the same time. There is no effort to hide the fact that these animals are puppets. Sticks and joints and hand grips are visible. That makes things even more magical, because the imagination is engaged in finishing the beasts, rather than simply in figuring out how “they” did it. This is also a tale best told in earth tones, such as that first half hour. When Taymor’s palette opens up and the big numbers (including “Can You Feel The Love Tonight”) start rolling in, the play loses some of its beauty and regal bearing. The bright explosions of “I Just Can’t Wait To Be King” and “Hakuna Matata” delight the kids, but it’s “They Live In You” and “Shadowland” that will engage adults. Buy Lion King Schenectady NY Tickets. Save $10 on Lion King Proctors Theatre Ticket Orders over $350! Use Code AFF$10. The Schenectady premiere of Disney’s The Lion King opens tonight, Thursday, February 24 at 8:00PM at Proctors for a limited engagement of four weeks through Sunday, March 20, 2011. The North American touring production of The Lion King has been seen by over 12.7 million theatergoers and grossed over $834 million to date. Having already played more than 60 cities across North America, Lion King now proudly makes its Schenectady premiere at Proctors Theatre. The Lion King performs in Proctors Theatre thru March 20, 2011. Buy Discounted Lion King Schenectady NY Tickets Online. On Broadway, Lion King grossed $1,534,779 and had a 94.2% attendance rate for the week ending February 20, 2011 and was 3.0% more than the last week. Lion King reported an increase of $252,227 over the previous week’s box office. Last week’s biggest earning show on Broadway wasn’t “Wicked” or “Spider-Man: Turn Off the Dark.” It was Lion King, an old show that can still roar. The 22 shows on the boards grossed $16,930,141, 10.77% more than that of the previous week. “The Lion King,” with music by Elton John and Tim Rice, became the seventh-longest running show in Broadway history on Jan. 2 when it played its 5,462nd performance. Producers say 17 productions of the show have been seen by more than 54 million people and grossed more than $4.2 billion to date. Below are the Top 10 Grosses for the week ending February 20, 2011. Looking for Lion King Proctors Theatre Tickets? Tired of getting Lion King Proctors Theatre Tickets? Box Office says your favorite seats are not available? But you can get the favorite show tickets online for a marginal high price. We are determined to supply Lion King Proctors Theatre Tickets at the best price on the internet for all 32 performances. The Lion King opens its 32-show run in Proctors Theatre on February 22, 2011 and Perform thru March 20, 2011. Buy Discounted Lion King Schenectady NY Tickets Online. Get $10 OFF on Lion King Proctors Theatre Ticket Orders Over $350! Use Discount Code AFF$10. On Broadway, Lion King grossed $1,282,552 and had a 91.2% attendance rate for the week ending February 13, 2011 and was 3.5% more than the last week. Lion King remained in the millionaire’s club at Broadway Box Office along with Wicked and Spider-Man Turn Off The Dark. The 22 shows on the boards grossed $15,106,300, 16.23% more than that of the previous week. Below are the Top 10 Grosses for the week ending February 13, 2011. 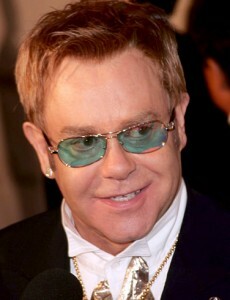 Elton John has suggested that composing the musical score for the Disney film The Lion King helped to revive his career. During an appearance on NBC’s Today, John credited lyricist Sir Tim Rice with changing the course of his career by enlisting him to write songs for the animated movie. “That opened a huge door for me and it opened the door for Broadway, making our own animation, opened the door for me scoring movies,” he said. John and Rice would later win a ‘Best Original Song’ Oscar in 1994 for their composition ‘Can You Feel The Love Tonight’ from The Lion King’s soundtrack. Watch the stage footage of the original London cast – Catch a glimpse of Disney’s landmark musical event experienced by over 50 million people around the world. Buy Lyceum Theatre, London Tickets Online. Lion King is visiting Schuster Performing Arts Center Mead Theatre in Dayton OH from June 14 for a limited engagement of four weeks through Sunday, July 10. The Tickets sale is in full swing. On saturday, the Schuster Center was full of fans waiting for their chance to purchase ‘Disney’s The Lion King’ tickets. At last count, almost 400 people waited for the box office to open promptly at 7am, some were here as early as 11:30pm last night and drove as far as Akron. Plenty of great seats are still available Online. Save $10 on Lion King Dayton OH Ticket Orders Over $350! Use Code AFF$10. Disney’s The Lion King is a spectacular musical now playing in Providence at the Providence Performing Arts Center. As the play begins with the song “Circle of Life,” the actors parade down the aisles, vibrantly dressed as antelopes, birds, elephants, giraffes, and cheetahs. The story is fairly fast-paced and it’s not long before young Simba and Nala are introduced. The first act focuses on Simba as a cub and features many of the songs from the movie. However, it’s perfectly understandable and enjoyable even if you haven’t seen the movie. The first act is done before you know it, and the second act begins like the first, with animals walking down the aisles. Now Simba is an adult and must face his evil uncle, Scar. If you’ve seen the movie, you know how it ends, and if not you can probably guess. Overall, all of the staging and costumes were quite interesting and unique. The actors dressed as lions wear masks on top of their heads so that their faces are visible and you can see their expressions. However, a difference from the movie is that Rafiki is played by a woman instead a man. This was a little weird, but a relatively minor negative. Be sure to get to the show on time as you will not be admitted until about ten minutes into the play if you’re late. The Lion King is now playing at PPAC until February 20th, with tickets starting at $28. Everyone in the family will love it, so get your Lion King Providence, RI Tickets Online – Only one week left to see, enjoy Lion King at PPAC. Lion King will be Visiting Schenectady’s Proctors Theatre from February 22, 2011. CEO Philip Morris predicted in December that “The Lion King” would sell out Proctors in Schenectady NY —a first for a month-long run at the theater. Now, with less than two weeks to go before the curtain rises on the Disney spectacular, Morris is not backing away from his prediction even though about 5,000 seats are still available. The show should be a good antidote to the winter doldrums for downtown restaurants and other businesses. Still, the term “sellout” isn’t always what it seems in the theater world, which seems appropriate for an industry built on illusion. Because of obstructions in the extravagant show, Proctors cannot sell every seat in the house. Some seats are also held back in case of a last-minute problem, like a seat breaking after a matinee. All told, Morris said there are 80,100 seats for “Lion King” over the course of 32 shows (were it not for obstructions and reserves, 84,544 seats would be available). Even if not all 80,100 seats get snapped up, Morris said it would still be considered a “sellout” in the theater industry if Proctors comes within a percentage point of the total. Stage hands have been busy stripping the historic theater of hanging lights and screens to prepare for the show. Trucks carrying props and other equipment are expected to roll into town on Sunday, Feb. 12. Lion King is currently playing on tour in Providence Performing Arts Center, Providence RI.